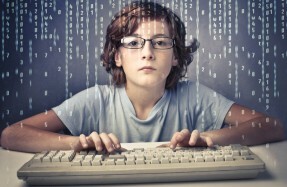 Do you have a budding techie? 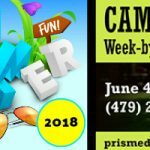 Well, advocates of technology education in NWA have developed a summer program for kids ages 7 to 16. 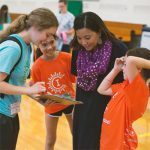 Campers will receive real, practical instruction in the area they’re most interested: building a website, design or coding. The classes will be at Fayetteville Athletic Club, but you don’t have to be a member at FAC to sign up. This is a unique idea that creators say may not be happening anywhere else – even nationally. On a personal note, he also told Scott about a recent weekend with his sons Julian (8) and Jon (7). “On Friday night I downloaded Game Maker 8.1 to their laptops; by Saturday afternoon they had watched a YouTube tutorial and had created a game that I played. It was humbling to see how the two of them teamed up and created something from nothing within hours,” he said. Sanker joked that The Three Rs (reading, writing and arithmetic) have been considered foundations of a basic skills-orientated education program within schools since 1825 and that “It’s time we start thinking about the fourth R; Rogramming” — referencing programming. Scott has a Master in IT Education, and she has been raising the IT bar throughout the region for many years. She was an Interactive Producer at Rockfish Interactive, taught at NWACC and Kaplan University and has become an IT guru in the area through Sass Interactive. She said, “I have been thinking about this idea for a long time. Like many kids my boys, Noah and Caleb, 7 and 5 years old, are excited and eager to learn. 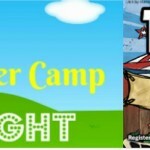 TechAdventureClub will be challenging, but it’s also going to be a lot of fun.” The children won’t be playing with toys; they will learn real programming in HTML5, CSS3, and Python and graphic design in GIMP. Sanker said one of the greatest parts is that this can be included in Fayetteville Athletic Club’s Kid’s In Motion Summer Camp. As a result, participating children will also have a chance to play basketball, swim, play tennis, go to Lake, and visit Crystal Bridges. Sanker and Scott believe that kids enjoy learning challenging concepts, and they both agree that new technology is increasingly blurring the distinction between traditional fun and challenging learning. 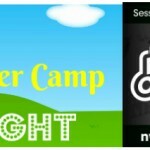 To check out all the courses, visit www.techadventureclub.com. 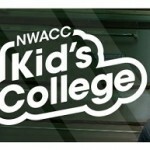 NorthWest Arkansas Community College offering cool summer camps for kids! Inside His Head: How can I convince my husband the kids need a pet?